The brewery was embraced by a scent of steamed rice. In a room next to a steamer, Yamano’s staff laid out trays of couching steamed rice. When a staff member opened the lid, white steam instantly embraced around us. The steamed rice was carried to the next room and was quickly spread out in the trays. We continued to quietly press the buttons of our cameras to take their serious faces. 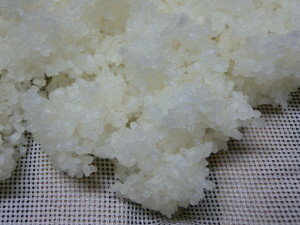 Boiled rice is spread out by hand. 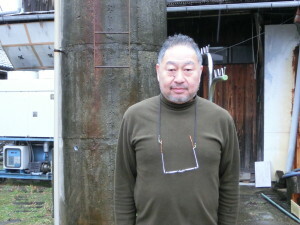 Yamano Shuzo is one of Katano’s local Sake makers. 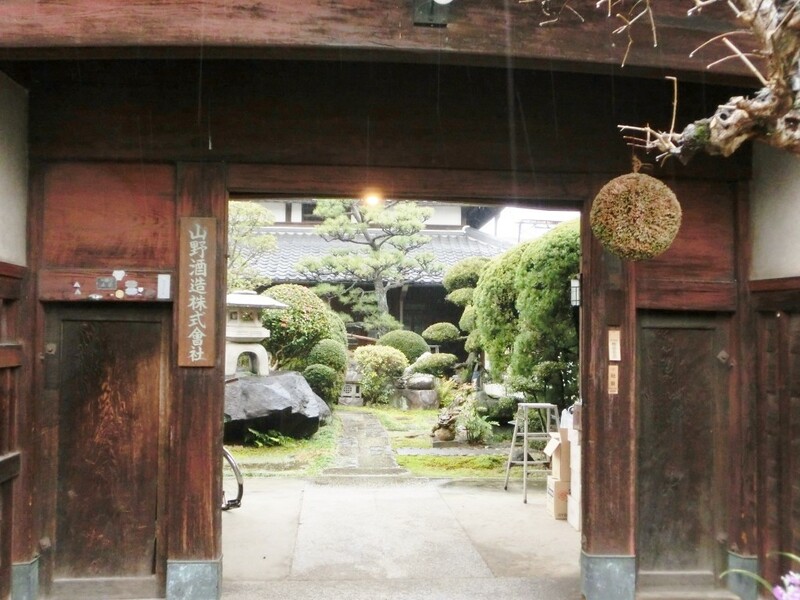 Yamano was originally a wholesaler of Sake but started making local Sake in the beginning of the 20th century. Since then, they always make an effort to provide high quality Sake to the customers. The annual production volume is about 90kl. It is much fewer than other major Sake makers. The reason is that Yamano does not use machines in almost all processes of Sake making. If automating the processes, they will be able to achieve more production volume than now. On the other hand, the flavour and taste of handmade Sake may be lost by mass production. In particular, Ginjyo which uses 60%-polished rice is made by hand due to the fact that the temperature control is quite difficult. The machines cannot understand slight environmental changes. Yamano’s high quality Sakes are produced in such a delicate environment. 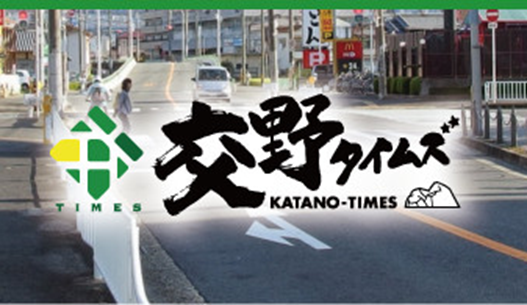 The Yamano’s top sales brand is “Katano Sakura”. Sakura means a cherry blossom which is one of representative flowers of Katano. In spring, a lot of cherry blossoms fully bloom and colour Katano in pink. Yamano’s Katano Sakura can be said to be the best product name which can smoothly imagine “Katano is the best place to see cherry blossoms. Katano Sakura is made in Katano”. To contribute Katano’s local economy, furthermore, Yamano Shuzo produced Katano’s original Sake named “Orihime no Sato” about ten years ago. The name derives from the tale of Tanabata which is deeply relating to the history of Katano. 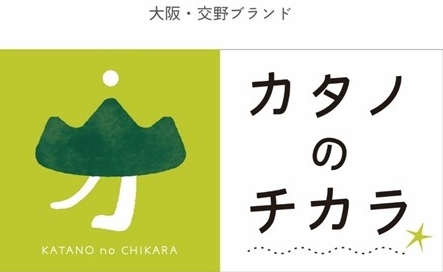 Katano City Council, Katano Tourist Association, and local liquor shops in Katano such as Ashida Liquor Shop asked Yamano Shuzo to make new Katano’s original Sake using local rice “Hinohikari”. “Hinohikari” is one of varieties of Japonica rice such as “Koshihikari” and “Akita Komachi”, and is grown in a lot of rice fields in Katano. The flavour is fruity and smooth, and is the best match with any types of cuisines. Mr. Hisayuki Yamano who is Yamano’s CEO says that the peak of domestic Sake sales is 1972. Since then, it remains to be on the downside due to the rise of other alcohols such as beer and wine. In addition, young generations who do not drink alcohols in their daily lives are increasing. Future is not bright for Sake companies. However, Mr. Yamano says “we do not have any clues to improve our Sake sales drastically… But, we believe that the best way is to continue making our original Sake our customers want to drink again”. 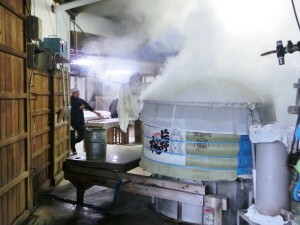 To promote Yamano’s unique Sake to as many people as possible, therefore, the staff members are unwilling to change the Yamano’s way of Sake making. In Yamano Shuzo, for example, a person in charge of checking a condition of Koji (moulded rice made from Aspergillus oryzae) has to do that every two hours. Therefore, he has a catnap in front of the Koji’s room using a sleeping bag. Mr. Yamano also sticks to selling fresh draft Sake. The flavour of draft Sake is totally different from that of pasteurised Sake, Mr. Yamano says. The reason is that draft Sake continues fermentation even after bottling. Therefore, the flavour changes in four seasons. He wants his customers to enjoy changing tastes every season. This is one of Yamano’s strong comparative advantages over other major Sake companies. 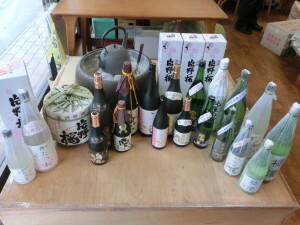 Yamano’s Sake is sold in liquor shops in Katano and through the official website (http://www.katanosakura.com). Particularly, Ashida Liquor Shop sells all Yamano’s Sake. The Ashida’s owner, Mr. Hayato Ashida, deeply understands the characteristics of Yamano’s Sake and properly suggests which type of Sake is the best for the customers. Mr. Ashida is the so-called “Meister of Sake” as well as Mr. Yamano. Toji, Mr. Asanuma, severely checks the quality of boiled Sake rice. I sometimes visit Sake breweries in Japan as a translator for foreign buyers. Each Sake brewery has own policy and tradition of Sake making. They always impress me. But, I did not have a chance to see Sake making processes directly. Yamano Shuzo was my first time to observe them. Through the observation, I was able to touch on a kind of dynamism and subtlety of Yamano’s Sake making processes. Furthermore, Mr. Seiji Asanuma who has a 48-year career of Sake making severely checks the whole processes as Toji (General Manager of Sake Making). I felt that his strong passion for Sake making hooked a lot of customers who loved Yamano’s Sake. I would like to express my gratitude to Mr. Hisayuki Yamano, Yamano’s staff members, and Mr. Hayato Ashida. Mr. Ashida allowed me to take photos of all Yamano’s Sake in his shop. Furthermore, I owe many thanks to Mr. Yoshiya Sato who is the director of Katano Tourist Association. He planned a schedule for me to visit Yamano Shuzo with other association members. I believe that I was not able to interview Yamano Shuzo without his help.